Sony has announced the launch of its new Sony HDR-CX500V and HDR-CX520V flash-memory-based HD Handycam camcorders, which able to capture full HD (1920 x 1080 pixels) video and up to 12-megapixel digital photos, featuring 60p output that can automatically converts content to 60 progressive frames per second while connected to a compatible HDTV. The Sony HDR-CX520V and HDR-CX500V differ only by their internal flash memory capacity, with HDR-CX520V sports 64GB flash memory, while HDR-CX500V includes 32GB memory. Both of them can expand their memory capacity thanks to optional Memory Stick PRO-HG Duo HX media. 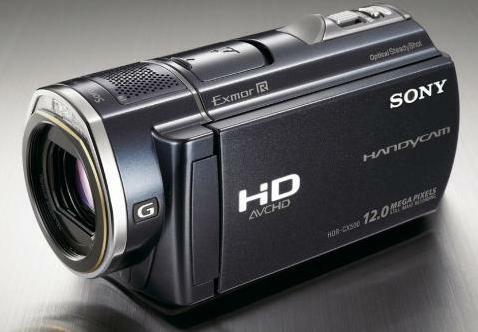 The new Sony HDR-CX500V and HDR-CX520V full HD Handycam camcorders that include Picture Motion Browser software for easily viewing, editing, organizing as well as uploading images to most social networking sites are scheduled to hit the market in September 2009 for around $1,100 and $1,300, respectively.